Make popovers for dinner to go with your soup. Make them for breakfast to eat with butter and jam. Or, make them anytime just because of that amazing crunchy outside and tender delicious inside! Preheat oven to 400°. Spray a 6-cup popover pan with nonstick spray. Combine butter, milk, eggs, flour, and salt in blender. Blend for 30 seconds. Divide batter among the 6 popover cups, filling each about half full. Bake 40 minutes, do not open oven door during baking time. Remove from oven. You may want to pierce each popover to let steam escape. Serve warm. You can make popovers in a muffin pan or Pyrex custard cups. 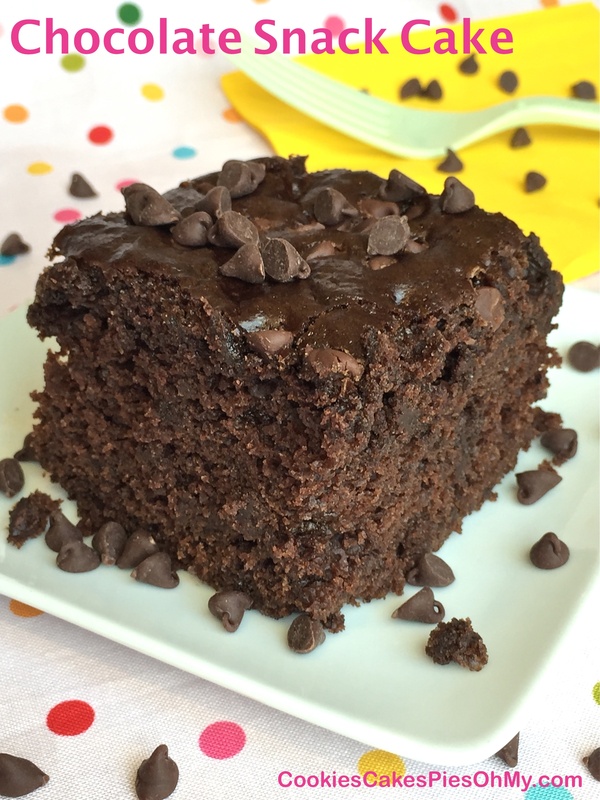 This is a quick fix recipe for a moist, rich chocolate cake. It’s a great recipe for a 9″x9″ pan for times when you don’t need a full size cake. 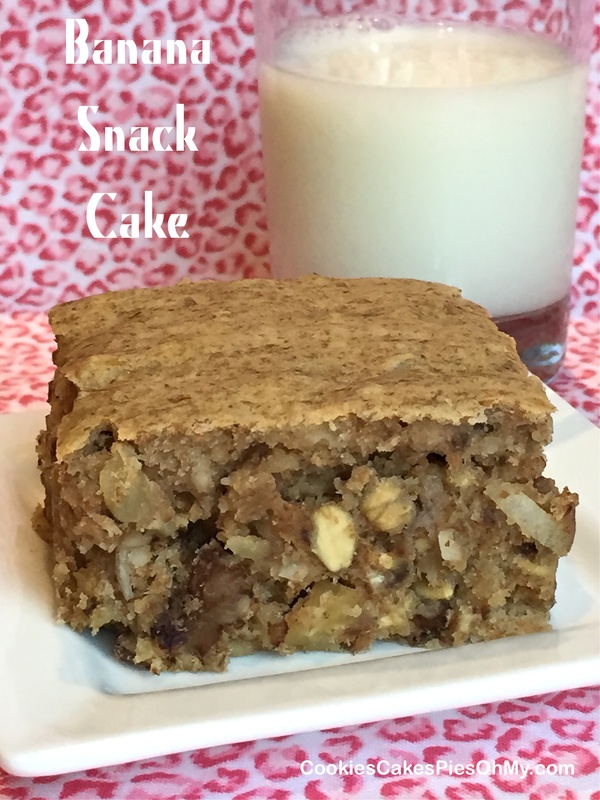 Throw in some mini chocolate chips and chopped nuts, slather with your favorite frosting, or dive right in and enjoy as is! Another favorite for a 13″x9″ size is Dark Chocolate Snack Cake. Preheat oven to 350°. In large bowl, whisk together flour, brown sugar, cocoa, baking powder, baking soda, and salt. In another bowl, whisk together milk, oil, egg, vinegar, and vanilla. 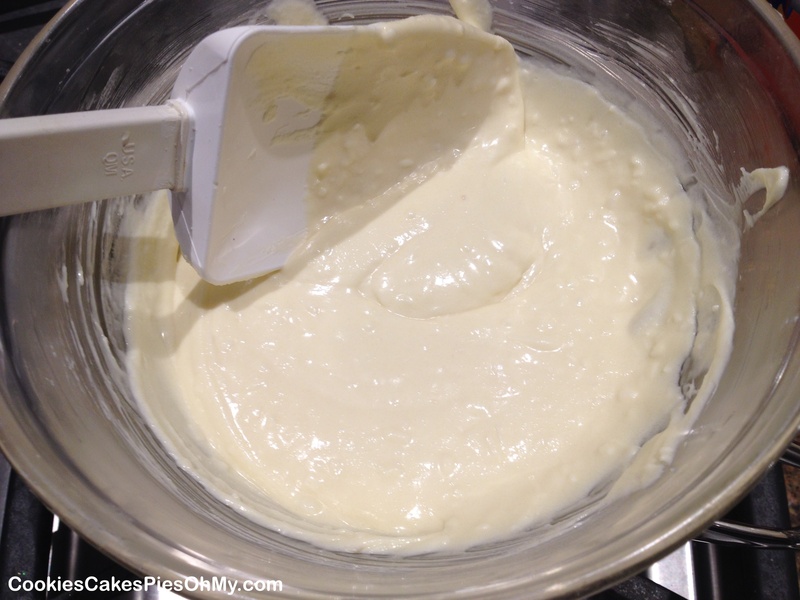 Pour milk mixture into dry ingredients and whisk together until well combined. Stir in chocolate chips and nuts if using. 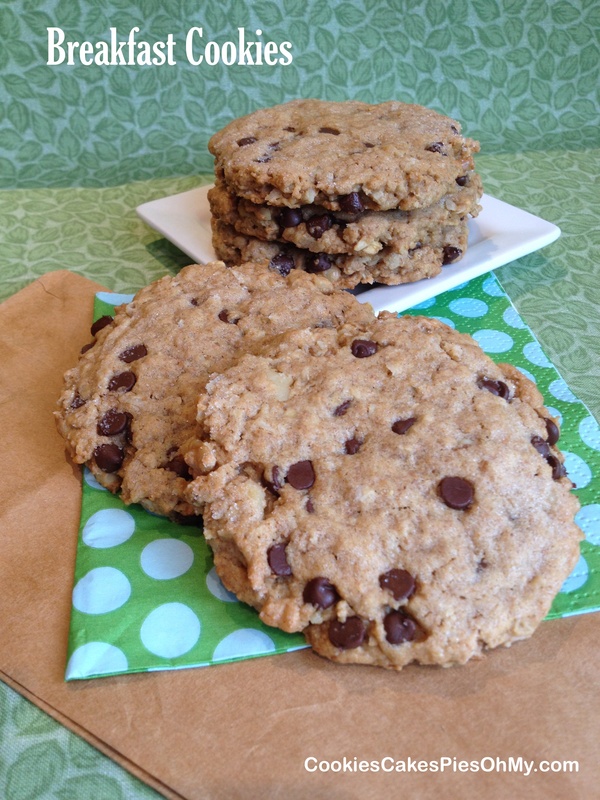 Pour batter into sprayed 9″x9″ square baking pan (can sprinkle some chocolate chips and nuts on top too). Bake 30-35 minutes until center is done. 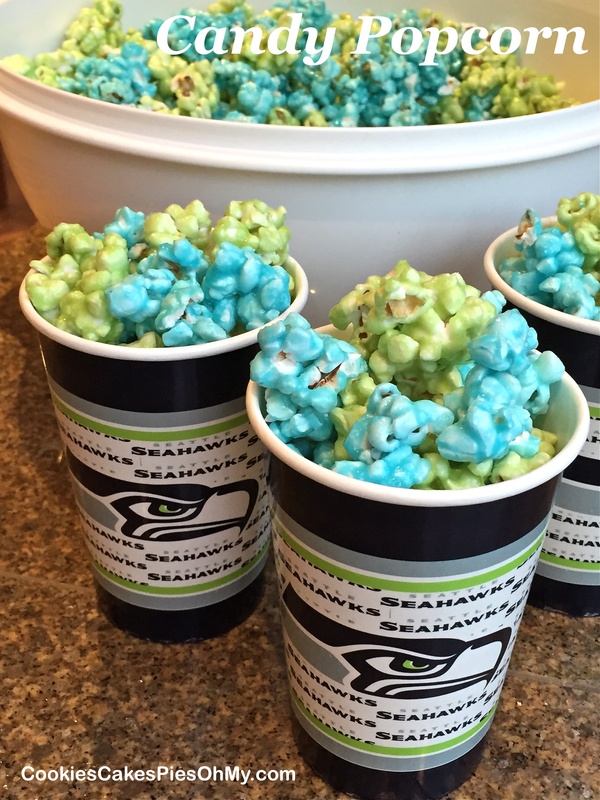 A perfect snack for the big game, or anytime! Preheat oven to 225°. Lightly spray baking sheet, set aside. Put popped popcorn in large bowl. In medium saucepan over low heat, melt butter. Stir in corn syrup and sugar. Bring to boil stirring constantly, turn heat down to simmer to keep the mixture boiling and cook 3 minutes. Remove from heat and stir in food color and baking soda. 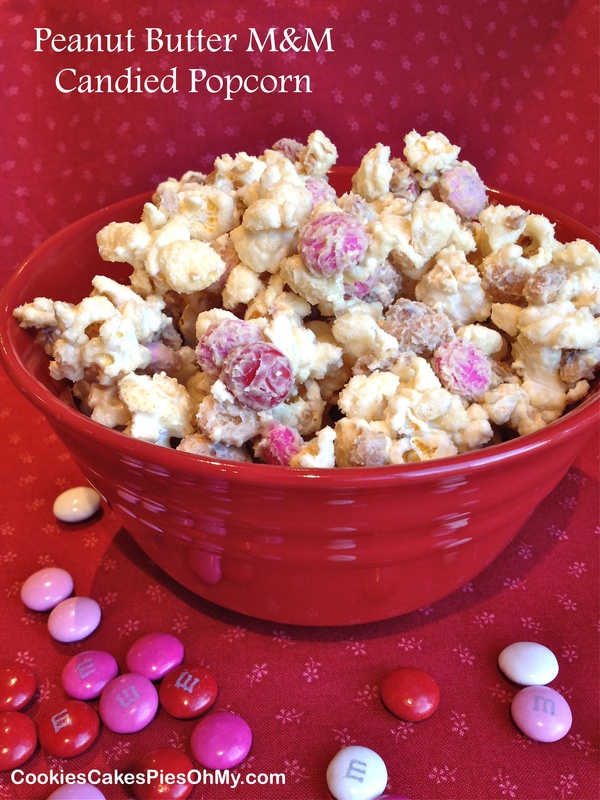 Pour candy mixture over popcorn and stir to coat completely. Spread popcorn out on prepared baking sheet. Bake in oven for 40 minutes, stir every 10 minutes. (*I skip the oven part and it turns out great and saves a lot of time. I stir gently and break apart into little bitesize popcorn balls as it cools). 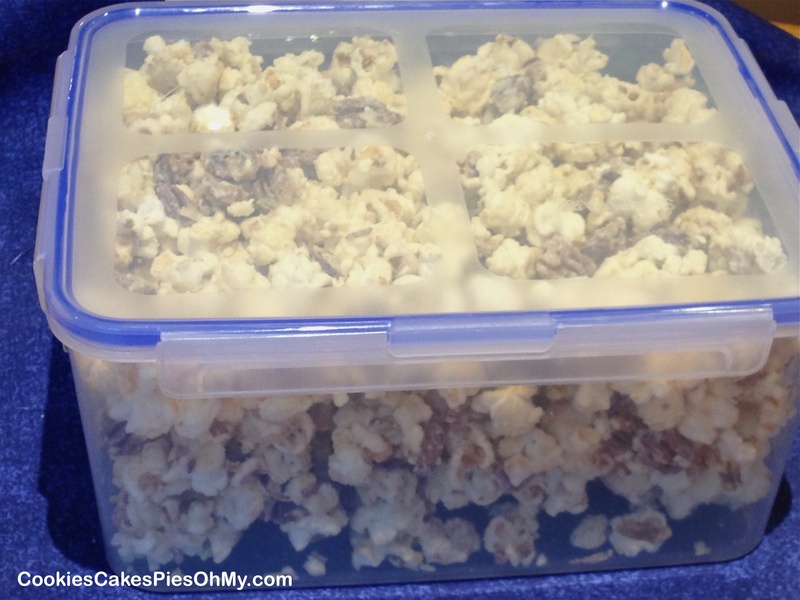 Remove from oven and stir popcorn gently as it cools. Recipe from ourbestbites.com. Perfect for a Valentine’s Day treat for the people you love! Inspired by a recipe at crazyforcrust.com. Line large baking sheet with Silpat, parchment, or wax paper. Place popcorn in large bowl, add peanuts and M&Ms; toss. Melt white wafers and peanut butter together in microwave safe bowl on high for 1½-2 minutes, stir every 30 seconds. When the wafers are barely melted and mixture is stirred together smooth, pour over popcorn mixture. Stir gently to cover all the mixture. 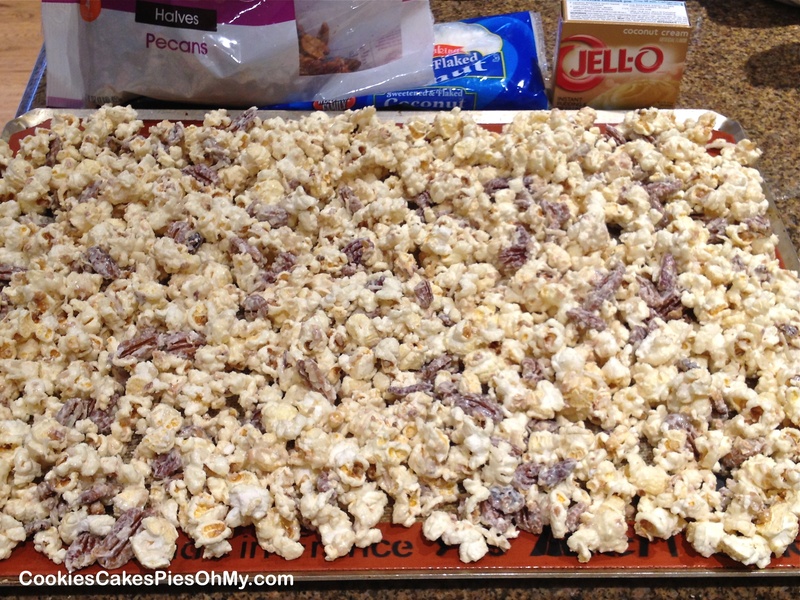 Turn popcorn mixture out onto prepared baking sheet. Spread evenly and let harden. Break into pieces and place in bags or sealed container. 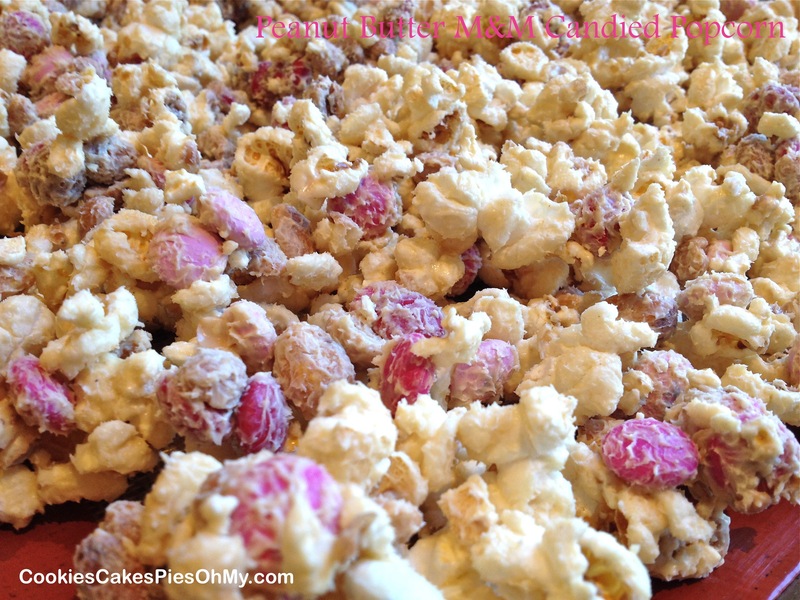 *I used already popped kettle corn from a large bag I purchased at Costco, makes the recipe super fast! Of course freshly popped will work wonderfully. 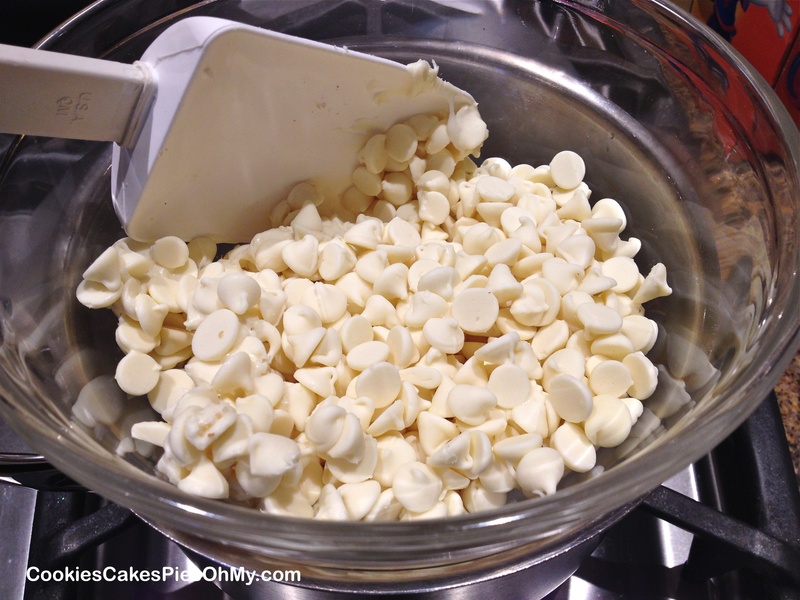 For the candy melts I used Ghirardelli White Melting Wafers. I am thinking about treats for the Superbowl, what to munch? 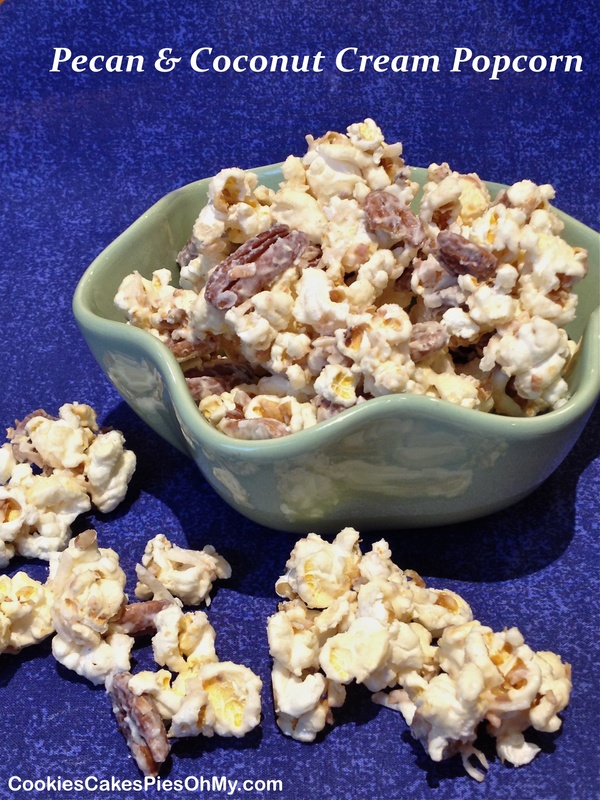 How about Pecan & Coconut Cream Popcorn, why not! Once you start munching, you may not be able to stop! Line baking sheet with Silpat, parchment, or wax paper. 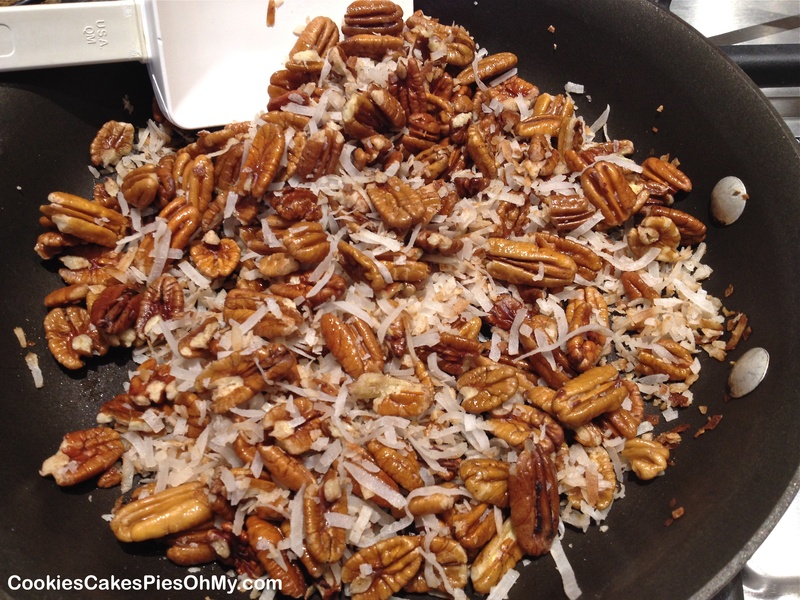 Toast pecans and coconut in fry pan over medium low heat about 3-5 minutes, watch and stir. 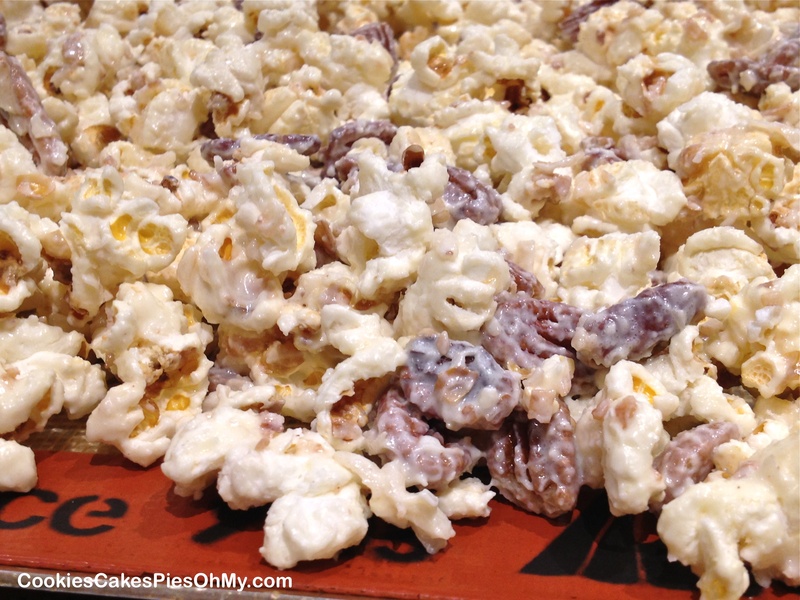 In large bowl, mix popped popcorn, pecans, and coconut. In double boiler over LOW heat, slowly melt chips. Do not try to rush, white chocolate or white chips have a very low burning point, so slowly let it warm stirring constantly (melting white chocolate). Remove from heat just as chips are softening, stir in coconut pudding mix, it will be thick. Put mixture back on the heat and slowly stir in the shortening, one tsp at a time to loosen up or thin the mixture. Pour the mixture over the popcorn mixture in four batches, stirring gently after each addition. Between additions, set coconut cream mixture on the low heat. Make sure to stir all the way to the bottom of the big bowl to bring all the coconut and pecans up and mix them in. Gently stir until all is coated. Pour out onto prepared baking sheet. Refrigerate for about 15 minutes until coconut cream mixture sets up. Break apart into pieces and store in airtight container.